Prosecutors want latest Lyft murder defendant to be jailed without bail | Homicide Watch Trenton | Mark every death. Remember every victim. Follow every case. Prosecutors are seeking to keep Ronderrick Manuel locked up without bail at the Mercer County jail on allegations he shot and killed Lyft rideshare passenger Amber Dudley last fall in a grisly robbery-turned-murder. Prosecutors have filed the motion for pretrial detention earlier this week when Manuel, 43, of Trenton, made his first court appearance Tuesday via video link. 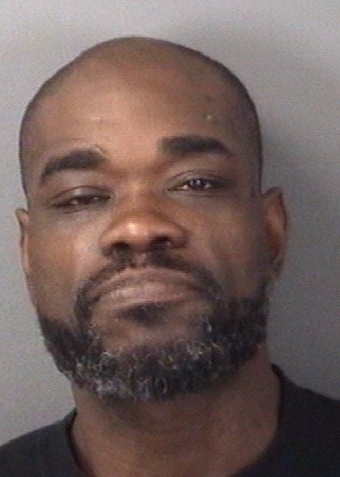 He was arrested last week on allegations he burglarized a Ewing property and re-arrested Sunday night to face charges of murder, robbery and weapons offenses. Manuel is the fourth defendant to be arrested in connection with the murder of Dudley, 27, of Collingswood. The other defendants — Andrew Alston, Kasey Dezolt and Dominique Richter — have been charged with accomplice liability murder while Manuel is being prosecuted as the alleged principal gunman responsible for Dudley’s violent death in Trenton on Nov. 30, 2016. Neither the press nor the general public was permitted to attend Manuel’s initial arraignment on Tuesday due to the courtroom’s doors being locked in error, according to New Jersey Judiciary spokesman Pete McAleer. Under New Jersey’s bail reform procedures that went into effect on Jan. 1, newly arrested defendants are supposed to be provided with a first court appearance within 48 hours. Mercer County’s first court appearance arraignments — called CJP or Central Judicial Processing hearings — are supposed to be open to the public either in the actual courtroom or through the state’s online Virtual Court. Manuel’s first court appearance on Tuesday was not streamed live on the Virtual Court. Thus, the courtroom’s doors being locked in error had the real effect of preventing the general public from observing Manuel’s legal proceeding — a proceeding that was supposed to be conducted in open court, not under the cloak of secrecy. Homicide Watch Trenton has belatedly learned that a judge scheduled Manuel’s detention hearing to be held Thursday afternoon at Superior Court Judge Peter Warshaw’s courtroom. That hearing will decide whether Manuel remains incarcerated without bail or if he is released with conditions.